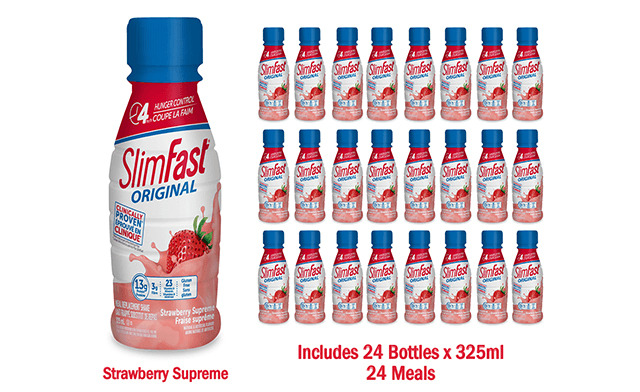 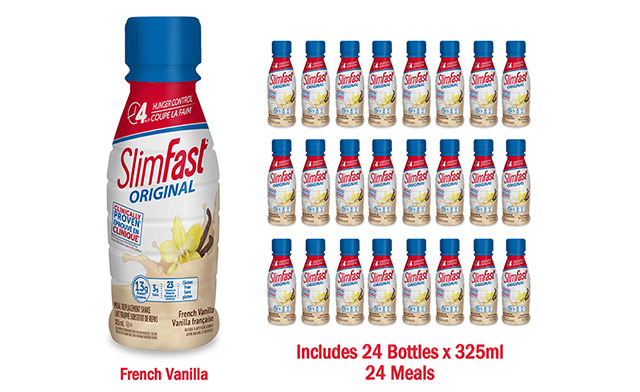 Receive 3 Packs of 8 SlimFast Meal Replacement RTD Bottles, equalling 24 bottles or meals, in Vanilla or Strawberry flavours. 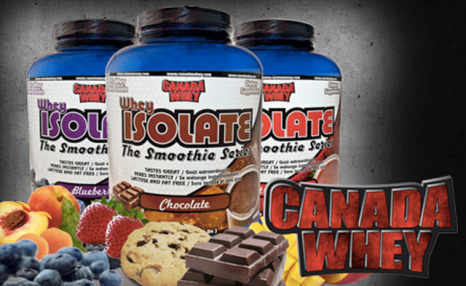 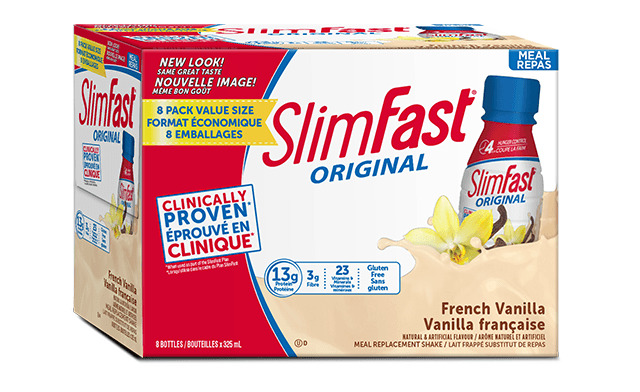 Complete Meal Replacement Shake: The SlimFast Original RTD meal replacement shake is a balanced formula that is packed with 13g of protein, 3g of fibre, and 23 essential vitamins and minerals, and is gluten-free. 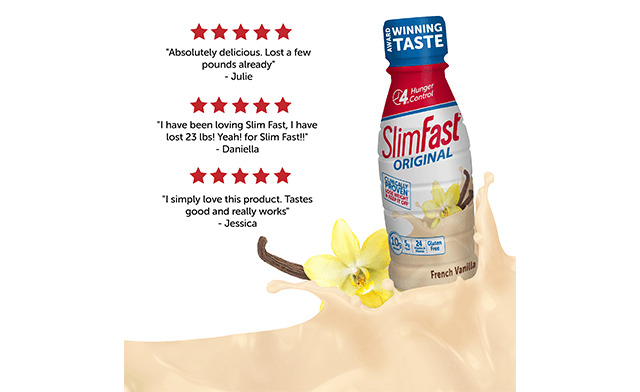 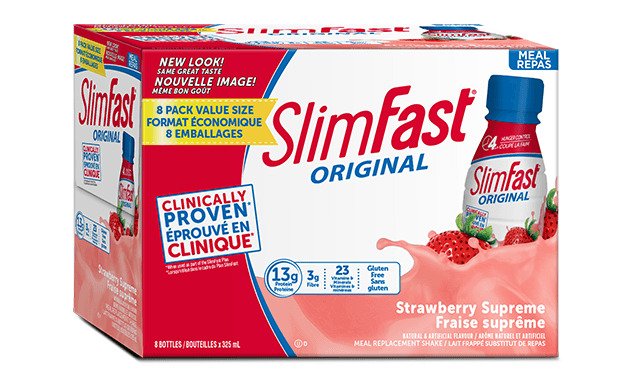 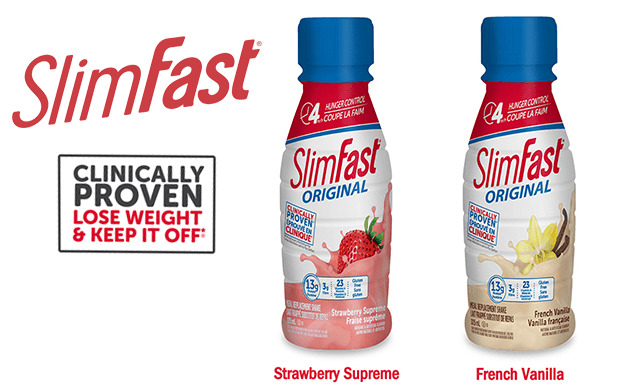 4-Hour Hunger Control: SlimFast meal replacement shakes have helped millions of people lose unwanted pounds by reducing those annoying hunger craving for up to four hours.